The resignations of Nomura’s two top executives may close the chapter on the Japanese firm’s plan to become a global player in investment banking. Departing Chief Executive Kenichi Watanabe and Chief Operating Officer Takumi Shibata led the opportunistic swoop on bankrupt Lehman Brothers in 2008. They are leaving mainly due to an unrelated insider trading scandal. But Lehman isn’t working, and the pair’s replacements have a chance for a dignified unwind. Dismal quarterly numbers provide the immediate pretext for a strategic U-turn. Nomura’s wholesale bank, which includes the trading and corporate finance acquired from Lehman, reported a pre-tax loss in the April-to-June quarter, and revenues fell 24 percent on the previous three months. That came on top of a bad quarter for the core Japanese brokerage business, where commission income fell 15 percent quarter on quarter. Nomura’s overall earnings were down 91 percent in the period. The whole industry is suffering, but Nomura has more to prove. Alarmingly, fee income in investment banking was at its lowest since the Lehman deal. Nomura still rules in Japan, but strip out Japanese equity issues and the firm would have ranked 27th globally – below Qatar National Bank – according to Thomson Reuters data for the year to date. The group made a bigger pre-tax profit in the quarter from “other” activities like real estate, and accounting gains in the value of its own debt, than from brokerage and banking. Watanabe and Shibata couldn’t have foreseen such mediocrity four years ago, when most large investment banks were in retrenchment. And some of the Lehman business is doing well. The fixed-income business, 59 percent of wholesale revenue, turned a profit. Banker pay, once Nomura’s bugbear, is well under control, at 33 percent of net revenue. But if new Chief Executive Koji Nagai, who comes from the Japanese brokerage, really wants to regain shareholders’ trust, a clean break may be the best way. Nomura’s meagre return on equity of just 0.4 percent is far below what investors have a right to demand. With a prevailing wind, Nomura could be a genuine east-meets-west global player a decade from now. But destroying more value to chase that dream no longer seems a reasonable trade. Nomura Holdings reported earnings of 1.9 billion yen ($24 million) in the quarter ending June 30, 2012, a 91 percent decline on the previous quarter. At the same time, it announced Chief Executive Kenichi Watanabe and Chief Operating Officer Takumi Shibata would stand down. Watanabe would be replaced by Koji Nagai, president of the group’s domestic brokerage, Nomura said. Shibata would be replaced by Atsushi Yoshikawa, former boss of the Americas business and previously chief executive of Nomura’s asset management arm. 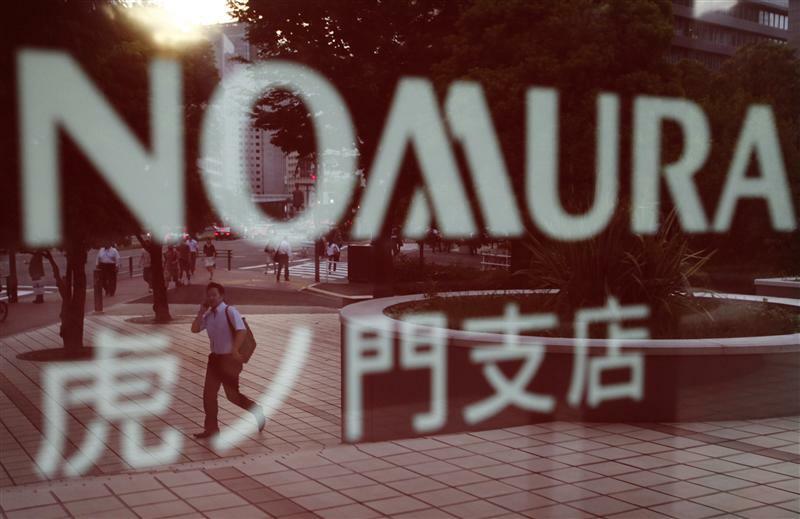 Nomura has been embroiled in an insider trading scandal after it confirmed it was the source of leaks on planned share offerings, where staff in its institutional sales department tipped off clients. The group is awaiting possible sanctions from the Japanese financial regulators. As well as the cases highlighted by regulators, Nomura said there were “high possibilities” that information was also leaked in other instances. Net revenue of 369 billion yen was 26 percent below the previous quarter, and 12 percent up on the same period in 2011. Commissions from Nomura’s core retail brokerage business fell 14.5 percent, quarter on quarter. The wholesale division, which includes trading and corporate finance, reported 122 billion yen of net revenue, 23 percent less than the previous quarter. A pre-tax loss of 8.6 billion yen made it the only division not to register a profit in the quarter. Client fees from investment banking were 10.4 billion yen, a 30 percent reduction on the previous quarter.